Modern people say that man should feed with varied food to live. It is true that man should eat, but what to eat? If it concerns the bee, it feeds with honey. The wolf feeds with meat, the sheep – with grass. What with feeds man? Nature has strictly defined who with what should feed himself. To man it has defined to feed with fresh pure food, which is difficult to decompose. The cuisine of modern people is unnatural. It has deviated from natural cuisine and as a result people are exposed to various diseases and sufferings. One day when they get in touch with rational nature and obey its laws it will give to each living creature whatever the creature wishes. Nature knows how to give and how to satisfy the wishes of all living creatures. There is a law in nature stating that if someone wants something nature satisfies his wish. What do we call proper nutrition? Proper nutrition is when thought takes active part in it. When man does not think while eating, it is as if he has not eaten. The brain and the stomach are both poles of life. If you have a headache, you should know that that there is a mess in your stomach. If you have a stomachache you should know that there is something wrong with your head. Evil spirits to create mess in the head first of all make mess in the stomach. Man should always be awake! In the morning consciousness should be awake and for half an hour you should breathe and thank, at lunch half an hour you should breathe and thank and in the evening you should breathe and thank for half an hour. Do this to see how your health will strengthen. There where mind is present each work is well done. The same law is valid for the stomach as well. You eat without the presence of your mind. If you eat and do not thank for the meal, the same law applies. In nature there is a law: when you want to solve a question sometimes you think too long ­ 5 minutes is enough to think. When you think for five minutes whatever you decide is enough. If you think for 20­30 minutes and even you think for a whole day, you will decide the same. Suppose that the atmosphere influences you, you feel certain cold in your legs. In this case concentrate your mind on your legs and see for how many minutes after you have been concentrated your legs will warm. This is a law of healthful condition. There where mind participates in all the processes of consciousness or self-consciousness, we already have good results. If you eat and your mind is present while eating, you find out that eating is work. If you participate with whole your mind you will see that this work is pleasant and from the food you will get a lot of stored energy. If you drink water or breathe and your mind is present you will surely have good results. Everybody should know his body and feed it with relevant food in physical as well as in psychological aspect. The doctors now define how many grams of all substances should be taken per day, but they define this in mechanical way. You can take certain quality of fats but the important thing is how much of those fats will be assimilated. You can eat a whole lamb, but how much of it you will use is another question. Indian yogis eat 50 to 100 grams of rice per day, but out of it they extract ten times more nutritious substances than a man who is not yoga and eats 5-6 times a day. The Europeans are always in a hurry and when eating they do not chew their food well and do not think about the food while eating, but think about other things. While eating bread you should think about the bread only ­ it is sacred. Wheat is sacred. You eat unconsciously and then you say that you suffer from various diseases. Diseases show deviation in any aspect ­ mental, heart, volitional. In order to show higher spiritual abilities man should poses finer matter and this happens with nutrition, but it is necessary to know how to extract the important extract from the food. The essential is what we get in the relevant spiritual state. When man is in good mood and calm he can easily take the energies from food ­ prana. The idea that with a little food the body could be maintained is not correct. The little quantity of food well assimilated gives more energy than a lot of food not well digested. You can live only on a mouthful of bread a day if you only know how to use the hidden strength of this mouthful. (A saint) 24 hour will pray on rice, specific energy will come down and then he will boil it with specific water and when he eats he will eat a food bringing life. You now ­ washed –not washed pear you eat ­ you will die. Those who have studied the law of eating for a long time use 50 to 100 grams of rice a day and are healthy. With 100 grams of butter you can live for half a year. Eating properly means from 50­100 grams of food to extract as much as energy as you need. Everything depends on you. Everything depends on mind. The quantity of food does not define the force of life, but quality, rational use of energy. I when passing through our vineyard I know who has eaten the grapes. They eat and they leave the husks. Sometimes I see that it has been eaten by bees, sometimes by people. The bees when eating do not leave a single husk. The bees when eating it process it and give honey. Man when eating and processing it what would give? Nothing would give. Man whatever he has eaten he has not processed it. People today eat a lot and nevertheless suffer from lack of energy. This is the reason for the various diseases. Put an aim during a weak to be good, patient with all the people, to eat and drink according to the rules of eating. See after that what energy you will acquire, what happiness you bring at your home. Eat food that you like and speak with it. This means that you eat live food and not dead. Dead food does not bring any value. Never eat what you do not like. Never think about what you do not like. You should speak with each mouthful that you take. You should ask it where from it comes, where it is going ­ you should talk with it. Between you and your food there must be communication, connection. First of all enter in connection with the bread that is alive. Bread has not died. Enter in connection with the bread inside. Then you will acquire this energy. When eating bread first of all think about its force and sense. We do not do this but we want to have achievements, to become saints. When I eat an apple, I think what self-denial it has, what sacrifice it makes and how beautiful it is. When I eat wheat I think what good example it gives and I would like to be like it. A lot of mediums say to drink only wheat juice, but they do not understand it in this sense. They do not know that when drinking from this wheat juice you should have the relevant disposal of the wheat grain; if you are going to drink oats water you should have relevant disposal; if you are going to eat leeks – you should have the respective disposal of leeks. If you do not have the disposal of the leeks, it does not give you anything. That is the inner side. I give you a pear. You will eat, it but you should know the tone of the pear, only then you can eat it, if you take the tone then eat it. If you take an apple, take its tone and then eat it. If you take plum, take its tone and then eat it. If you eat something without taking its tone you will get in trouble. Natural food for each body is the one that has the same vibrations like the body. You should eat only the food that has the same vibrations as those of your body, it is for you, it carries the same life, as your body. When we eat a plant we have to accord with its scale. Each spiritual quality has its matter elements. Foods are divided into categories. At various times, in various ages man uses appropriate food. The vibrations of a food should be in harmony with the vibrations of my body, so when I eat, to have complete satisfaction, to have happiness and health and in all my life to love that food. Between food and me there should be love. To chew your food a certain quantity of vibrations is required. Hunger shows certain vibrations as well. Real hunger is defined with certain quantity of vibrations. When these vibrations coincide hunger is at the right place. From the food that you chew is required certain quantity of vibrations as well. If you do not chew properly, if your thought is not concentrated, if it is not harmonic, if you do not think about the food that you are chewing you are not going to profit. If you have sacred feeling that you are chewing a nice apple, if you keep a nice thought, then you have a nice wish you will give the best place to that food and then you will give it the best work ­ eating is at its best place. If you have eaten and you are not pleased, your feelings do not correspond to the food, appears that disharmony that brings all the illnesses. I say: at present conditions man should learn how to eat. This is a whole science. If he knows how to eat properly ­ his thought to be present, his feelings to be present and his force to be present ­ this man can develop properly. His potentials that God has put in him will develop properly. Food that when eaten is not connected to your thought does not bring you anything. Do not eat food that you do not love and that cannot attract your thought. Eat what you love and what attracts your thought. The food if love it will open and will give you something, otherwise you will get only its leftovers. Each food contains something specific. Each food contains specific energies that are necessary to the body. There is a special feeling in man that prompts to him all the time what he should eat; exactly this food will bring to him those specific elements, needed for building the body. If you want to protect from sin in eating keep to the following rule: eat only food that corresponds to your nature and provides Divine energies. If you have Love inside, soft vibrations will come, a desire to eat will be born inside you and eating will be sweet. If you want to drink, after drinking water there is a sweet taste. Sometimes you eat, but you have no desire to eat ­ you have not taken the right tone of Love and it does not act. Then man says: I do not feel like eating. He is invited to take one thing or another to eat, but he does not feel like eating. When Love comes man chooses his food. When you take the right tone immediately Love whispers to you what food is needed for your body. Someone says: Tell us the truth! How can I tell you the truth? You have skin and you should know what your skin needs. You have brain and you should understand the laws of your brain. You have lungs and till now you have not been interested in their function in what they do. You have a stomach and you do not know how to eat and what to eat. You do not know for what period to sleep and how to sleep. You say that certain scientist tells you so. To the birds who of the scientists has told how to eat and what to eat? Hygiene of life should start with the right use of light, accumulated in plants and fruits. If accepted light cannot be transferred to live energy we say that the food has not been well assimilated, which means that there is no correspondence between the food and the body. Today’s hygienists and physiologists often recommend man foods that do not reach the desired aim. Some hygienists recommend people to eat meat food, others – vegetarian food, but sometimes vegetarian food is spoiled by certain oils so much that it is able to spoil the stomach even more than the meat food. In order to avoid these upsets of the stomach man should approach stealthily to that food that nature has defined especially for him. This is one of the important questions that each rational man should think about. It is not important what is said in the books about this question, each man should find by himself his own food as the animals do. Who has taught sheep to graze grass? Even more who has taught it to choose the especial for it grass? Without reading any scientific book sheep knows what grass to eat. Sheep choses its food by itself and modern man should read scientific books to understand what food is good and what is not. Concerning the choice of food nature has put in man inner instinct or inner sense to recognize. And if man goes back to his initial state of purity he will come to the state to recognize which food is good and especially defined for him. If man leaves him to nature and lets nature to guide him he will solve correctly not only the question of food but also the question of what life to live and how to live. There is freedom in the world that has no rules. It derives itself. (...) According to which is the law anyone of you choses his food? Do the animals have a written law what grass they should graze? Do sheep have such law? Now they say that people should learn how to eat. At which school have sheep learnt what grass to graze? Who taught them exactly what food to eat? They know how to choose their food, but modern people should be taught what to eat. Sheep choses itself the food it should eat. Man lists thousands of books to find directions what food is suitable for him. Nature has put in man inner instinct to recognize what food would be the best for him. When man sits to feed he would stop at first, have a look at the food and see if he should eat from it or not. Let us start with the bread. Especially you, who are very faithful, when buying bread let anyone of you stop in front of a bakery and ask: Should I take bread from here or not? In case something is telling you: Do not take! ­ you should not take. Stop at another bakery and ask again: Should I take bread or not? When you go to the tenth bakery and something tells you: Take from this baker! Take the bread and go home. There is special hygiene in the world. In order to perceive Divine life you should not be in a hurry for anything. Take a fruit but do not hurry to eat it. Look at it at first, look at its form, breathe its aroma and think where it comes from, why it bears this color, what energy it brings. Fruit is a whole composition. When you take the bread at first you should put it to your nose and if from it comes nice odor eat it! If not leave it aside. The same is valid for fruits as well. If your nose shows that this fruit is good - eat it, if not leave it aside. Mouth and nose are close to each other in order to help each other. The stomach needs smell. The good things when you smell them you wish to taste them. Through the smell you recognize which things are good. All these whose smell is damaged are not healthy. If a food is spoilt it is the smell that senses it and prompts to you not to eat it. The food that you eat should have scent. If you are given a dish of meal, concentrate your thought. Say to yourself: Should I eat this food or not? Immediately something will come to you and say: Do not take this food! Sometimes it says: Do not eat! But you eat. Another time it says: Eat! But you do not want to eat. In Divine world when it is said to you: Eat! ­ You should eat. When it is said: Do not eat! ­ You should not eat. There is nothing else. You will say: What if man does not eat, it is only for a moment. One moment will save you. Since this moment when you do not eat you start going on the right way. Obedience is a way to put you on the right path. If you do not obey you enter the wrong path. Everyday you make a mistake. Each mistake is a deviation. Always when we correct mistakes we enter the right path to Love. There is a sense in man helping him to recognize if a food is good for him or not. When man learns how to eat properly and to choose the corresponding to his body food he has learnt the laws of the physical world. The physical laws concern spiritual life of man as well, his inner life. Each man has a teacher. This is his pristine home, his inner intuition this is self consciousness, this is super consciousness, this is sub consciousness, this is consciousness. Call it whatever, but if you listen to it while eating it will whisper something to you: This food is not for you, do not eat it! But I am hungry. Do not eat! If it tells you this 3 times and you do not listen to him, then it says: You can eat. But even half an hour has not passed and you feel ache in your stomach, some weight in your breasts. You ask yourself: What has happened to me? I am under a spell. Yes, you are. Each man that would not listen to the Divine in him is always under spell. Modern learned people eat indiscriminately. Who is hungry eats some food not knowing whether it would support his mind, his heart or his will. Everything happens indiscriminately. After he has eaten he is not content. He says: I miss something. Today’s people need great culture. Now we have very uncertain culture. Until now I have not told you, but I am going to tell you now what new eating is about. When sitting to eat you should think for 5 minutes, then you should pray God what you eat to go exactly to the place it is intended: to your head, to the lungs, all over your body to feed all the cells. You sit, you do not ask God and you say: Let it go where it wishes to go! Then the food goes wherever, but some of you limp, others have stomachache, in others suffer kidneys, lever, gall and permanently doctors go to cure them. A wish, born in the human soul, an unnatural wish isn’t it unnatural food? Moses, understanding this, says: You shall not covet! An unnatural food will bring disharmony into your soul. Eat only what the law allows you to eat. And what is it? Each thing or object or each living creature, whatever, that does not throw any shadow in your consciousness, you can eat. When you want to catch a hen, see ­ if it throws shadow in your consciousness do not eat it. Even a man that throws shadow you should not accept. If he does not throw shadow, eat him. You will ask: Is it so? And Christ himself has said: Who eats me will have life in him and who does not eat me will die! But Christ never throws shadow on the minds, on the consciousness of people. You should understand things. Future hygiene requires people with developed senses, who recognize what food to use and where from to take it. If something inside you tells you not to eat certain food or not to go to certain pull-up, listen to this voice. If you do not listen and enter into a pull-up that is forbidden for you to enter you will feel great discomfort. Listen to your inner sense that always prompts to you what to eat, where to go, with whom to become friends, etc. There are victuallers that do not put good energies in the meals. If you eat from their food you will get upset. This laws applies everywhere in life. If you go to a shop to bye something, listen to your inner sense ­ whether you have disposal for the man you are buying from. Make friends with people that you are well disposed to. If you meet a man that makes some inner contradiction inside you, do not make friends with him. If he does not make any contradiction inside you, if you are well disposed to him, make friends with him and do not be afraid ­ this man will be loyal to you in all your life. Therefore do not make friends with man producing tightening of the heart and contradictions in mind. Why this is so do not ask and do not try to force you to overcome that sense. There is an organ in man letting him recognize what food is necessary to him and helping man to choose the food that nature has defined for him – this is all for the future. If special foods are chosen for each man, a lot of troubles will be avoided. Things should not be forced man should choose himself what he loves, because beet suits to some people, carrots ­ to the others. The imperative is to apply the law of love. Man has a sense of eating inside. It is put in front on his forehead. This sense delicately shows whether the food is healthy or not. Modern humankind has already come to limit of knowledge. There is a science that is not theoretical, but that already applies in life. It is a science for the small things, not for the great deals. Small thing, for example, is the science for breathing. Everybody knows to breathe, but so many things depend on breathing! Everybody knows to eat, but so much depends on eating! You say: We eat every day. And this is the art that only a few people know how to eat. All the people eat and the animals eat, but this is indiscriminative eating. In this aspect the animals have an established rule: they feed by instinct, but when eating, for example the herbivores they eat their food as they find it, covered with dust with mad and they soak everything up. They accept very little food as it should be. When the carnivores are concerned, they have almost no hygiene. A wolf would go in the evening around the herds, will steal a lamb and will run away. When people are concerned, they take impure food, but they garnish it with some spices and thus they misguide their taste. Vegetarian is the food, which vibrations completely correspond to the vibrations of the cells in our body. When assimilated there is complete correspondence or complete flow of energy to the sun. Exactly this food is vegetarian. There are foods whose vibrations go to the center of the earth, but they are animal foods and some plant foods. Vegetarianism should be grounded on a great law in the world: never eat food that has not corresponding to your body vibrations! This is right. Because the vibrations of each food are different nature has created certain foods for man, others for the animals, third for the plants. For all living creatures nature has created foods. Never use food that is not created for you! It is possible that all the scientists gather and tell what nutritious substances should contain food. For man there is specific food prepared and everybody should find this food. Someone says: man should restrain from eating. 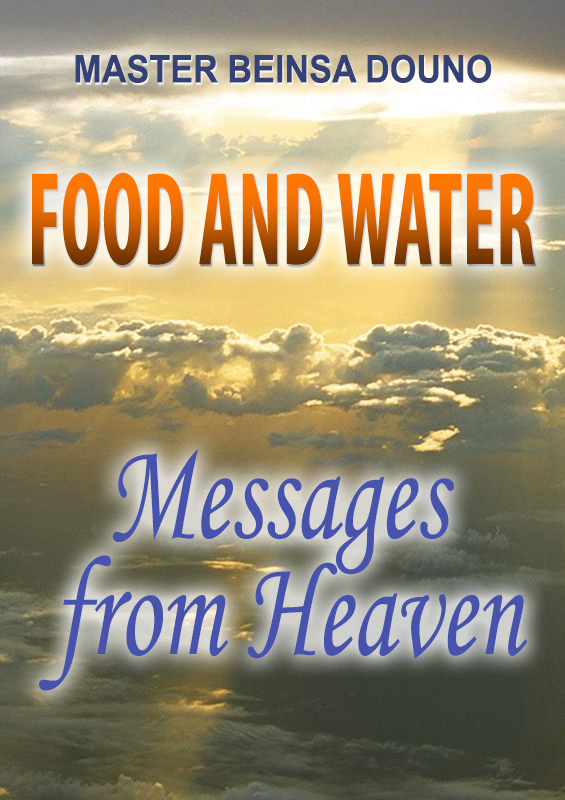 There is sense man to restrain from eating, but from eating foods that bear various diseases. There are even foods incompatible with human body. In some scientific treatise there are recommendations for peoples. One food for one people, when it comes to other people – other family of foods is recommended. This means that some foods are good to a people and incompatible with other. All the peoples differ one from another and in the food that they take as well. Right, strictly defined is what food man should feed with, what food he should use. This is exactly, strictly defined in life of man. Nature has put rich table in front of each man, in front of each living creature, but it never says to anyone what to eat and how to eat. Each should choose by himself alone the relevant food. Some foods are common to all the people, but there are special foods. Each person should know what food is exactly defined for him. If he eats food that is not defined for him he comes upon sufferings. Each food that is not relevant to a certain man causes disorders in his body. Man can become good only under certain conditions. Good man is fed with specific food from the invisible world. Good mothers know that law and therefore they give birth to good children ­ they feed them with specific food. All the mothers that do not comply with that law have given birth to bad children. And the bees apply that law. They grow their workers with special food, the bumble bees with special food, and for the queen they have special food. It is good before eating to concentrate and to put in relevant position our thought and our whole body. We have to thank for the goods that nature and working people have delivered to us. When you sit to eat do not be in a hurry, do not open your eyes greedily. Sit in front of the food, look at it for about ten minutes and during that time think about all those people, who eat at that time, think whether all the people have what to eat, if they can sit at the table and eat. And when you calm down that all the people have what to eat, then sit quietly eat slowly, without being in a hurry. After you have thanked God that all the people have been given food, then you eat sweetly and gratefully and you will be healthy. When you start eating, you should eat so that you are in connection with all the people eating. Do you know how well you can eat when all the people are healthy? Eat with healthy people to become healthy as well. Never eat with ill people! If you want to heal an ill man put him to eat among ten healthy that have never been ill and when he spends among them three months the longest he will get completely well. Let him eat all the time with them. In their eating he will sense some music like a symphony of Beethoven. Do not eat whatever food, choose good food. If the food is not good refuse it. Hunger is preferable to bad food. Good food brings all the gratitude. Thank God for the good food. We, when eating bad food, will be noisy, we will repine and we will blame the regime. But we, the rational people, can ameliorate our life because a law for common harmony exists, where from health retrieves. There is something in nature that brings life in itself. Man, when eating bread, should think about the source that it comes from, should connect with that category sunny creatures that send their energy for making the bread. Various creatures are sending various energies from the sun and to specific places. There are creatures of the sun that are especially interested in Bulgaria. They envisage for Bulgaria special budget: how much wheat, how many fruits to send; exactly how many children to be born; how many people to get married and how many to die. The sun is a powerful entity of bright rational creatures. When man feeds rationally, he will think how the food has been created, he will think about the creatures that have created it and he will be able to use their energy. Each food contains certain rational life. Each food, no matter if it is beans or lentils, or apples or pears, it comes from a rational area of nature. Or in other words: The will of God comes from rational areas of nature, what you can check by yourself. If you are in harmony with these foods, if between them and you there is accordance, let them inside you. If you are not in harmony, never eat what is in them. Inside man is scripted the hygiene of food he should feed with. Always eat what you love most of all! This is the healthiest. And never overeat! That energy, from which wheat takes these sweet juices, from which apples, pears and the other fruits take, exists in nature. And if you understand the law of collation, it is possible when going to Vitosha not to carry any food with you. The necessary for you food will come by itself. It is enough for you to expand the cloth, the food, like manna will fall down on it. If you are thirsty, open your hands, concentrate your mind to God and your hands will fill with water. Illnesses are caused by inert matter in man, but behind that matter hides a rational creature, good or bad. Some illnesses ruin human body, others purify it. You will say that you do not see a rational creature, hiding behind the inert matter. This is another question. You see that a man has been stabbed and falls on the earth. Knife is inert matter, but behind it hides the hand of a rational creature that leads the knife. And behind the microbes, that cause various disease hide rational creatures that act on man so that create conditions under which bacteries developed. To recognize which food is pure and healthy, follow how it influences your thoughts, feelings and deeds. If food brings certain demotion of the mental life of man it is not hygienic. For example people like pork, eat it with disposal, but it brings such thoughts and moods, that man can hardly get rid of. Food influences mainly the weak people with not organized forces. The rational people food cannot influence so much. They know what food to use. Because prana is stored in different way in the various foods, as a result some of them influence favorably, but others unfavorably on human body and there from comes comfort or discomfort of man. Foods are light, stored in various organs in different way. In order to be healthy man should use such foods that relevant to his body. Each man should find the food that influences him best.